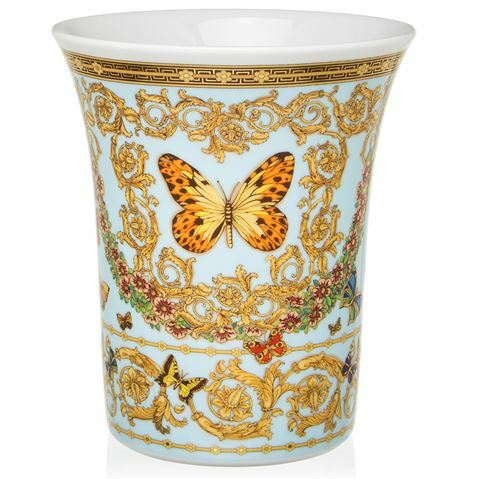 From Rosenthal comes the Versace collection – a range of dinnerware and accessories designed and inspired by this artistic genius, and crafted by the very best porcelain manufacturers in the world. 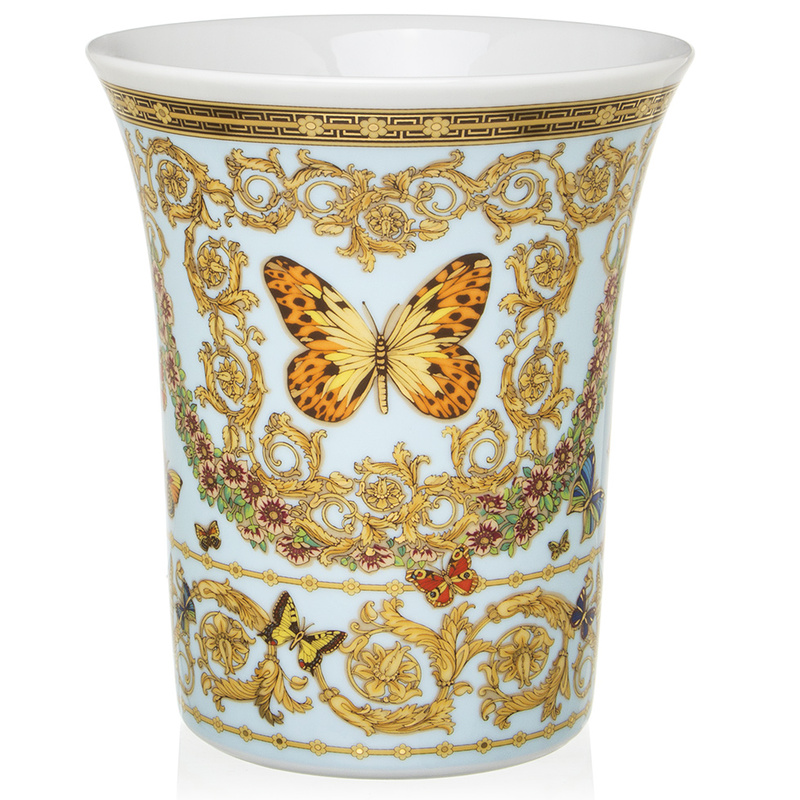 Echoing exclusivity is Versace’s glorious collaboration with Rosenthal: Le Jardin de Versace. Here, pastel hues are accompanied by an opulent diversity of blossoms, which tangle together to create a beautiful symphony of colours and classical borders. Meanwhile, beautifully detailed butterflies suggest a playful elegance. Hand decorated with true gold detailing. Presented in a Versace for Rosenthal gift box.